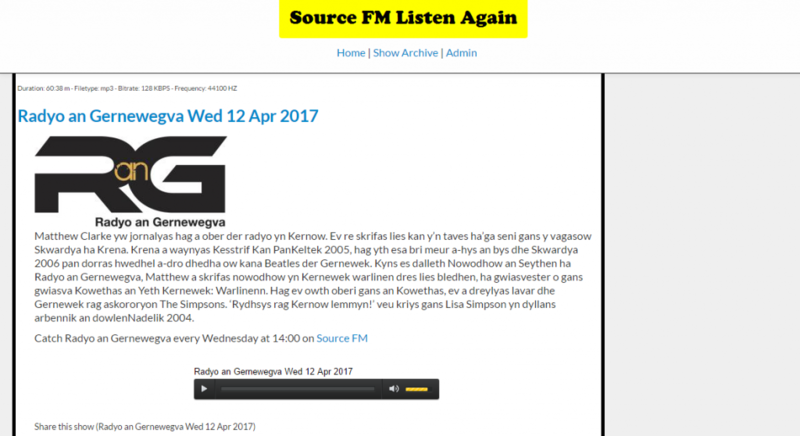 The site is built on an adapted front-end from podcastgenerator and the back end is based on a SQLite database of the shows. A python script sets up cron jobs to record the shows throughout the day and to back these recordings up at night and create xml files for the website. I am in the process of developing an open source solution for community radio stations to allow for streaming audio via simple, low cost or ubiquitous technology. 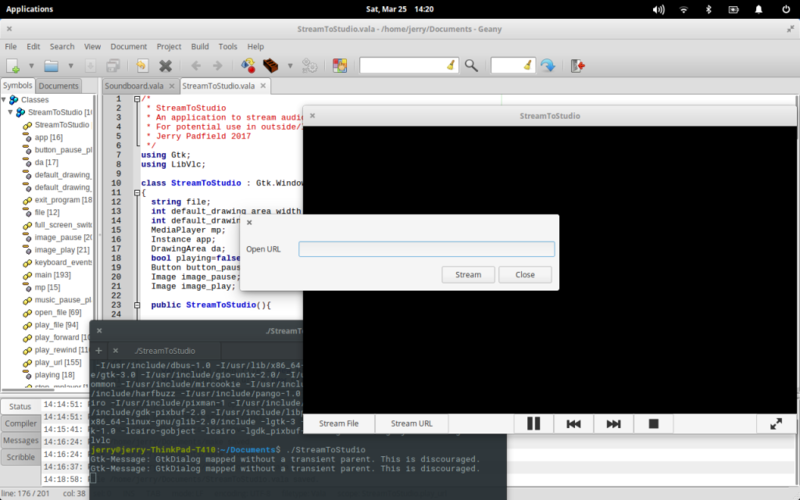 Initially I am using Linux distro elementary OS and the programming language Vala to develop the software, as this will compile down to C which will work in Ubuntu. I intend in future to make it cross-platform and many devices (smart phones). Github for this project if you wish to participate.